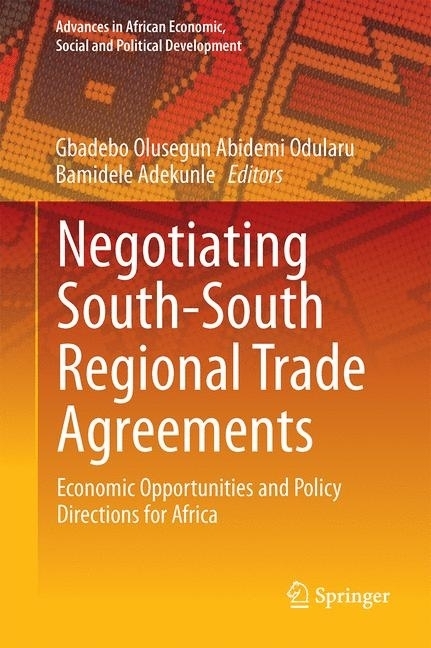 This book provides a comprehensive analysis of South-South regional trade issues, with a particular focus on sustainably fostering Africa's regional trade agenda. It examines the extent to which South-South regional trade agreements (RTAs) have contributed toward enhancing regional integration and economic expansion in Africa in particular, and in the South in general. 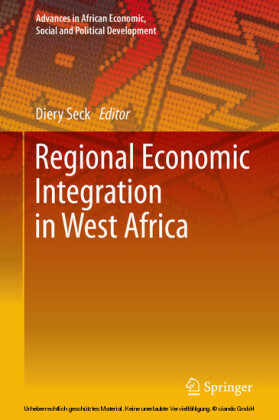 The authors recommend new conceptual frameworks, appropriate initiatives, and workable policy recipes to help South-South RTAs enhance Africa's economic transformation trajectory. 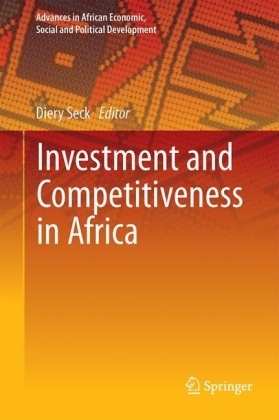 The book underscores the geo-politics, as well as the opportunities and challenges that emerging economies now represent for Africa in the context of South-South regional trade policy. 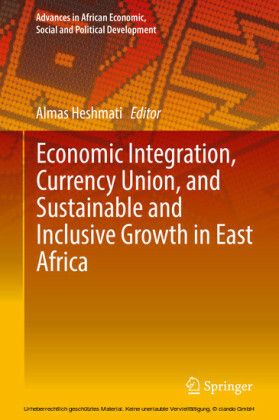 Readers will learn how Africa can strengthen its regional trade game by securing and building on the positive outcomes of South-South RTAs. Gbadebo Odularu is a research associate at the Center for Research on Political Economy (CREPOL), working closely with national, continental and international partners to provide evidence-based policy tools for fostering regional and sustainable development in Africa. He is also an adjunct professor at the School of Business, Marymount University, Arlington, USA. 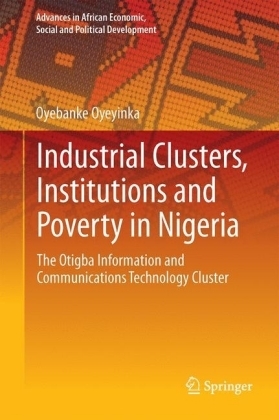 He holds a PhD in Regional Economic Development from the University of Sunderland, United Kingdom and an M.Sc (Agricultural Economics); and B.Sc (Economics) from the Nigerian University of Ibadan. 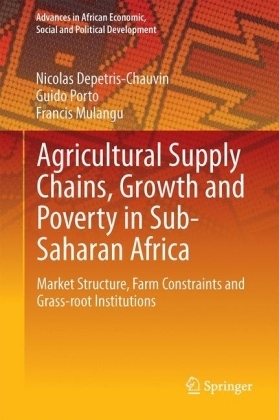 He was a field supervisor for the United States Agency for International Development (USAID) funded collaborative study on the constraints, opportunities, and strategic choices available to the Nigerian rice economy in a competitive world. Gbadebo Odularu is currently the 2016 - 2017 Diversity Initiative for Tenure in Economics (DITE) fellow. He has been visiting scholars at: the Centre for the Study of African Economies (CSAE), University of Oxford, United Kingdom (UK); Centre for Regional Economic Studies (CRES), Korea Institute for International Economic Policy (KIEP), Seoul, South Korea; United Nations Institute for Economic Development Planning (UNIDEP), Dakar, Senegal; and the Smith School of Enterprise and the Environment (SSEE), University of Oxford, UK. 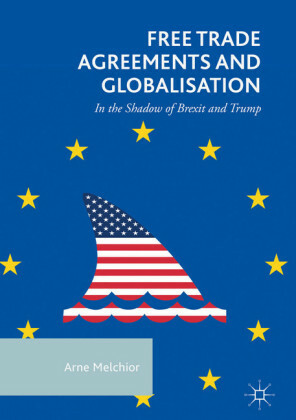 He was also the 2008 visiting doctoral scholar at the Economic Research and Statistical Division (ERSD), World Trade Organisation, Geneva, Switzerland. Gbadebo Odularu is a member of the Natural Resources, Agricultural Development and Food Security International Research Network (NAR-IRN), the Chatham House, the Nigerian Leadership Initiative (NLI), the African Finance and Economics Association (AFEA), the Academic Council of the United Nations System (ACUNS), African Economic Research Consortium (AERC) Network and the Nigerian Economic Society (NES). He has also been a member of the African Growth and Development Policy Modelling Consortium (AGRODEP). Bamidele Adekunle is an Adjunct Professor at the School of Environmental Design and Rural Development at the University of Guelph, Canada. He also teaches at the Ted Rogers School of Management, Ryerson University, Canada. He was an Adjunct Professor (2013 -2016) in the Urban and Inner City Studies program of the University of Winnipeg while working on Manitoba Research Alliance/Social Sciences and Humanities Research Council of Canada (SSHRC) project on inner city Winnipeg. He is a resource person for the African Economic Research Consortium (AERC) and has presented several papers at the Trade Policy Training Centre in Africa (TRAPCA). His research interests are in entrepreneurship, financial and institutional economics, agricultural economics, small business and rural development, environmental management, ethno cultural analytics, and international trade. He holds a B.Agric (Agricultural Economics), MSc (Agricultural Economics), MBA (General Management) and PhD (Agricultural Economics and Business).